Helsinki (Reuters): Nokia warned of a soft start to 2019 before a better second half for its fifth-generation (5G) mobile network technology, sending its shares sharply lower on Thursday. The Finnish firm said it expected 5G mobile networks to fuel gains over the next two years. Nokia shares were down 5.6% at 0825 GMT, on track for their worst day since Oct 2017. “There was a bit more uncertainty in the outlook than I was expecting but the big picture is still the same. The market is recovering well with 5G and they’re heading toward their 2020 targets,” said analyst Mikael Rautanen at research firm Inderes, which holds an accumulate recommendation on Nokia. “Overall it was a quite good Q4 as expected.” The networks industry has faced slowing demand since 4G network sales peaked in the middle of the decade but a new cycle of network upgrades appear to be kicking in as demand for 5G services increases. 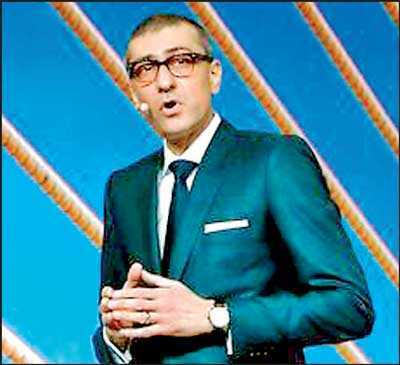 Nokia reported a fourth-quarter operating profit (non-IFRS) up 12% to 1.12 billion euros which beat analysts’ forecasts helped by its software and enterprise businesses.